One of the most widespread natural hazards is flooding. You’ll bake in that fleece jacket! The docks were crammed with/crammed full of people trying to board the boats. 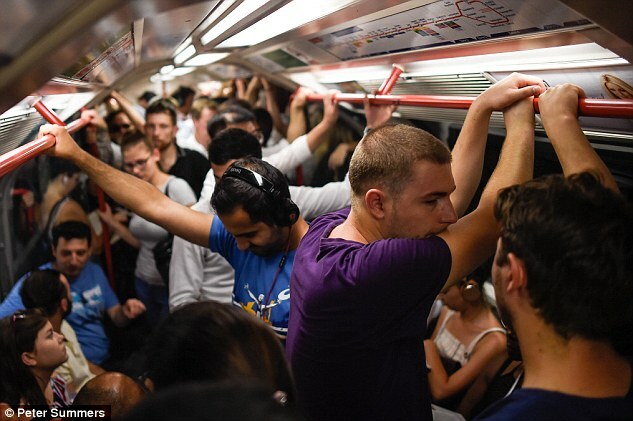 London commuters faced another sweaty commute today just hours after heading home in temperatures of 97F (36C) inside crammed Tube carriages. City workers wiped the sweat from their brows, buttoned down their shirt collars and rolled up their sleeves as they suffered the uncomfortable journeys in silence. 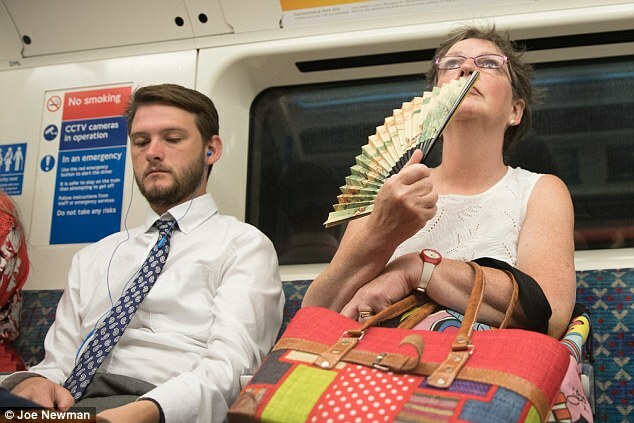 While Britons basked in the sunshine – with a year high 91.9F (33.3C) in Suffolk yesterday – London commuters entered the depths of the stuffy Underground. A group of grey seals were basking on a rock. On top of the wall, a cat basked happily in the sun. It’s really hot and stuffy in here – let’s open the window. The bedroom gets a little stuffy in the summer. The office gets so stuffy in the afternoon. 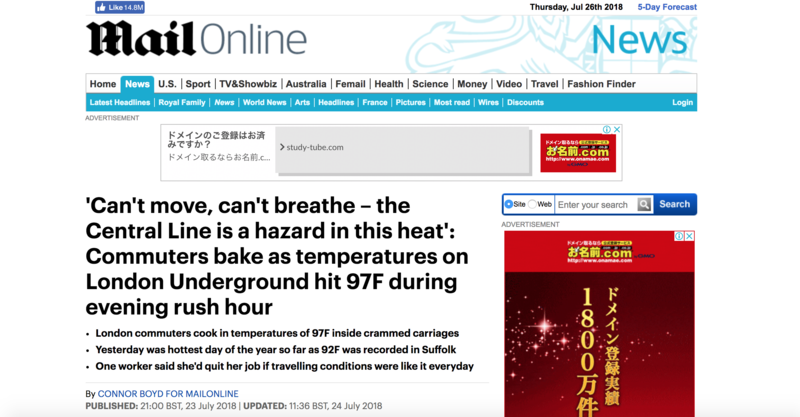 The mercury went from 86F (30C) at the entrance to Liverpool Street station to 91F (33C) on the platform of one of the capital’s deepest and oldest Tube lines. The red hot Central line has been clacking through the tunnels with basic air ventilation systems since 1900. It’s London’s longest Tube line at 34 miles long. Passengers had no option but to travel in sauna-like carriages, where the temperature rocketed to a baking 97F (36C). 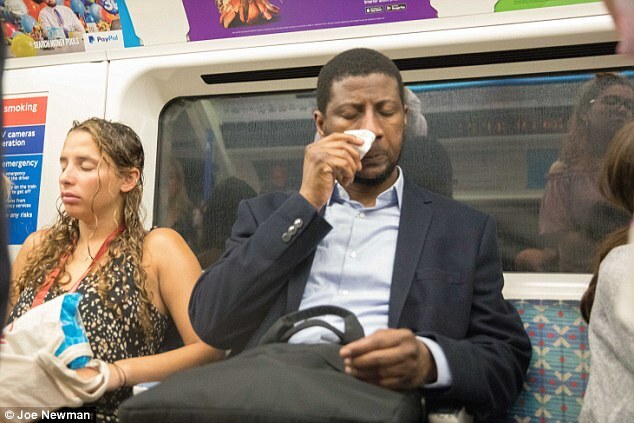 Sarah Gordon, a lawyer from Finchley Road, North London, usually avoids peak times in the heat and enjoys the delights of the air-conditioned Metropolitan line trains. But she was outraged by the Central line conditions as she travelled through its busiest stations at 6.30pm to try on bridesmaids’ dresses at Oxford Circus. Be careful – the iron is red-hot. Their heels clacked on the bare concrete. Her shoes clacked on the tile floor. I tried on six pairs of trousers before I found a pair that fitted. The 35-year-old said: ‘Knowing it is 36C (97F) down here is shocking – that is almost body temperature. 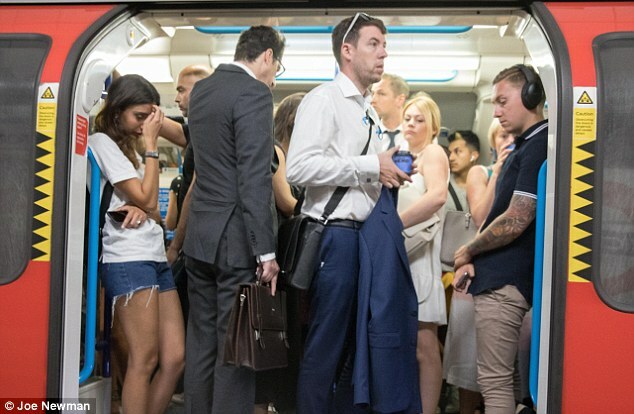 ‘It is awful when you get on a train as normal and you leave soaked through with sweat. ‘I am going to try on bridesmaids’ dresses for my best friend’s wedding and it will feel absolutely disgusting and sticky after this journey. ‘If this was my commute I would want to work from home or move home or job to avoid the hot, sweaty journey. The rain soaked our clothes. Blood was soaking through my glove. Sam Mitchell, 27, is a trainee solicitor who uses the Central line to commute from East Acton in West London to St Paul’s every weekday. 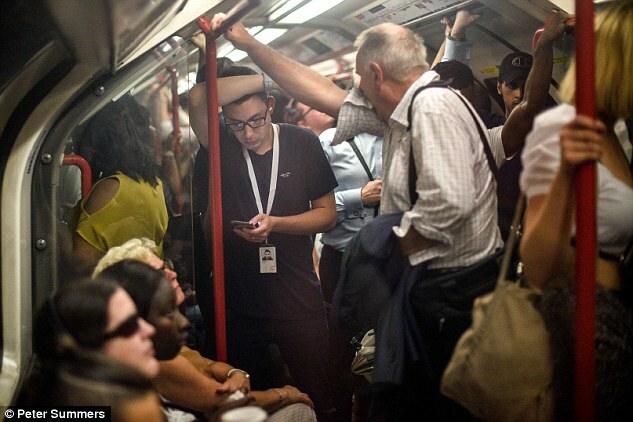 He often waits 15 minutes fighting for a space on an overcrowded carriage and said the worst part of his 35-minute sweltering journey is between Marble Arch and St Paul’s where overcrowding is pushed to the maximum. Michael Obire, 25 of Marylebone, has started taking a longer, alternative route to commute to his job as a sales executive at St Paul’s. Trainees will learn a skill that is valued in many countries. The firm recruits ten trainee accountants a year. In the summer, it’s sweltering in the smaller classrooms. This was the government’s next attempt at reducing prison overcrowding. Overcrowding in classrooms is an important issue in this election. Mr Obire said: ‘My tactic is to stand next to the carriage door window where you can catch a slight breeze. The Central and Northern lines are the worst. Kavina Depala, an 18-year-old sales executive, takes the Central line from Tottenham Court Road to St Paul’s as part of her daily commute from High Barnet. He’s dreading the exam – he’s sure he’s going to fail. I’m dreading having to meet his parents. We dreaded hearing the results of the blood tests.